Acclaimed British painter David Hockney is poised to dethrone Jeff Koons for the highest auction sale of a work by a living artist. Hockney, known for his vibrant palette and iconic depictions of life in California, could break the record in November at a Christie’s auction estimated to bring in $80 million. Anywhere near the estimate would break the record. “CBS This Morning: Saturday” co-host Anthony Mason recently caught up with Hockney at his California studio. “Laurel and Hardy movies. I’d always noticed the shadows in them. So I knew it was a sunny place,” Hockney told Mason when asked what brought him to the West Coast. His paintings of life there would become emblematic of West Coast culture. He’s perhaps best known for his fascination with swimming pools. “It’s always an interesting thing: how do you paint water? How do you paint something transparent?” Hockney said. 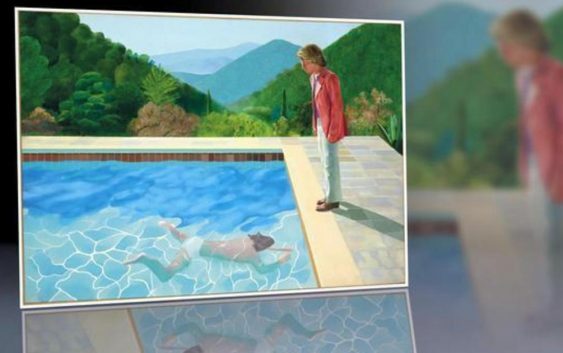 One of his more familiar images, “Beverly Hills Housewife,” set a record for a Hockney painting at auction when it sold for nearly $8 million dollars in 2009. 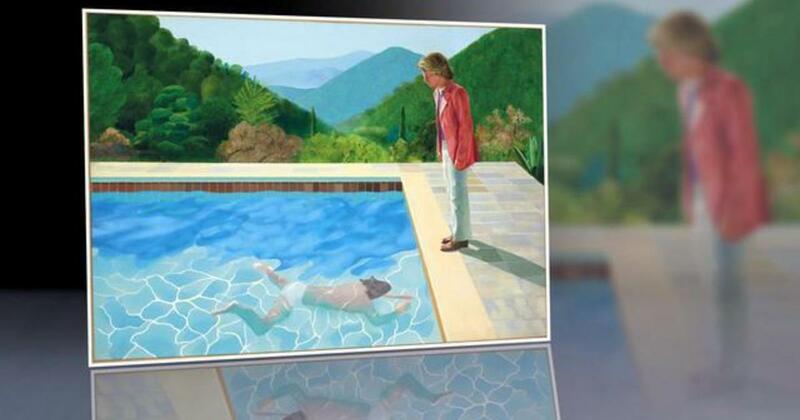 But in November, Hockney is likely to set an even bigger record when his “Portrait of an Artist (Pool with Two Figures)” goes up for auction. The estimated sale price of $80 million will smash Jeff Koons current record for a work by a living artist. His balloon dog sold for $58.4 million in 2013.